FPV drone pilot and contributor Yubeta.Blv FPV has broken much ground filming fast-moving off-road vehicles with an HD camera mounted to a racing quad. This requires extraordinary piloting skill, in many ways more difficult than FPV chasing cars which are confined to roads and have more predictable motion patterns. This video is a highlight reel of his best quadcopter-chasing-4x4 clips, each of which is epic in its own right. 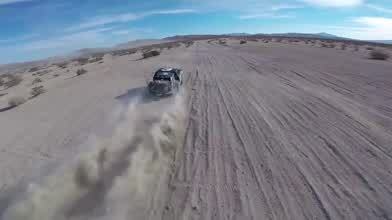 Description: Mix of offroad clips!